In Parliament on Thursday 19th July, something happened which overshadowed the debate on the extraordinarily lengthy but more than slightly underwhelming New York Times story. What happened was signaled and preceded by a news story in the English language press about a furor in the Constitutional Steering Committee where it was alleged that participants, comprising of members of parliament, independent academics and officials had reacted vehemently against a perceived attempt by two personalities, both prominent MPs to manipulate the process. The allegation was that TNA MP, Mr. MA Sumanthiran and the UNF’s Dr. Jayampathy Wickremaratne, both darlings of liberal-comprador civil society, had attempted to strong-arm the experts who were drafting a paper to be submitted to the Steering Committee. The allegation went beyond strong-arming, as if that weren’t bad enough, to insinuations of impropriety and malfeasance in the gathering of signatures. The leader of the 70 strong Joint Opposition Group in Parliament, Dinesh Gunawardena, made it clear that the Prime Minister and the Government Chief Whip do not know what is going on behind the scenes of the Constitution drafting process. In other words he said that the front-benchers of the Government and the main governing party the UNP, were not aware of the conspiracy. The finger of accusation was pointed clearly at Sumanthiran and Jayampathy Wickremaratne. That was not only about the distortion of process. What was worse was the substance of what was sought to be pushed through. What the whole thing reminded one of was the Central Bank bond scam and the moment that Arjuna Mahendran bulldozed decisions through, overriding the officials. However, some of them were courageous enough to record their dissent and later, to blow the whistle. Much the same happened here, except things were better. There had been a prolonged attempt by two members of the Committee to browbeat the officials and independent experts, but at the Steering Committee they stood up and resisted the smuggling into the draft of material that had not been agreed upon. Thus they fought for the integrity of the process. The point is who was the Arjuna Mahendran of the Constitution drafting process and what was the Constitutional equivalent of the Central Bank bond scam he was trying to perpetrate? The charge leveled in Parliament, telecast on prime time news, and which as far as I could tell, went unanswered –though the two personalities accused could have refuted the charges then and there—was a serious one. It was alleged that the attempt was to smuggle in a provision that a troika of the Prime Minister, the Leader of the Opposition and the Speaker, could remove the President. What is even more important is the larger picture. The allegation is of downright bad faith. Bad faith is a serious charge in most matters, but it is devastating in a matter of Constitution-making. More: it is potentially calamitous in the case of ethnically sensitive Constitution-making. Thus in his truly evangelical haste at securing a new Constitution, Mr. Sumanthiran and his partner in crime Dr. Jayampathy Wickremaratne may have crippled, if not wrecked the process. It was fraught anyway. With an utterly decisive election slightly under one and half years away, or to put it differently, with next year being a most crucial election year, the collective psyche changes. Especially with Provincial election stoppered up, any chance to vote, such as at a nationwide referendum, becomes an opportunity to register a protest at economic hardship. Politicians and political parties are aware of this. The more mainstream a party is, the more aware it is of the risks. Thus the UNP and SLFP is likely to be wary of a rush to a new Constitution. At the very least, these parties could experience rebellion if a nationally emotive issue arises against the backdrop of economic disaffection. The issue of a new Constitution with national elections on the horizon is a tailor-made opportunity for potential rebels to wrap themselves up in the flag. In such a context even a hint of subterfuge in the process itself can trigger not merely resistance as it has already done, but a more serious backlash. In any country whatsoever, Constitution-making or even Constitutional reform through amendment requires patient pragmatism and trust-building, creating a conducive atmosphere, construction of cross-party alliances, reaching out to foes, mutual trade-offs. It requires a soft-sell. Why then would Messrs. Sumanthiran and Wickremaratne try a hard–sell? One answer is simply, temperament and mentality. Mr. Sumanthiran is rash and brash; certainly no Neelan Tiruchelvam who was an affable and cerebral master of dialogic politics. He neither has Neelan’s engaging charm, patience, diplomatic finesse nor the respect that everyone in politics in this town had for him because of his intellect and broad culture. And yet, Sumanthiran charges in, blissfully unaware of his limitations– and does so whatever the issue, whoever the person he is offending and however delicate the situation or high the price of clumsy, abrasive intervention. The basic qualities he so conspicuously lacks is the very qualities that any exercise in Constitutional change, be it reform or transformation, needs—namely, sensitivity, diplomatic negotiating skills and realism. Why then is he partnered in his reckless effrontery by Dr. Jayampathy Wickremaratne? Jayampathy has no mass base, mass appeal or mass audience. Therefore he has no responsibility. He has a small circle of ex-leftists encysted within the UNF, with few sympathizers in the UNP. His nexus is with a former President who has enlightened but lopsided and unrealistic views on North-South ethnic reconciliation. The other prong of Jayampathy’s alliance is the civil society crowd. Going by the news reports of July 19-20, and the accusatory disclosures in Parliament, Sumanthiran and Jayampathy are ably assisted by a faction of the JVP, which seems to be divided between the more socially rooted faction identified with KD Lal Kantha and Sunil Handunetti, and a dominant ‘Right deviationist’ faction comprising Anura Kumara Dissanaike, Bimal Ratnaike and Vijitha Herath, which is widely believed to enjoy patronage from elsewhere. The late leader of the JVP Somawansa Amarasinghe, who had been the last survivor in active politics of the old Rohana Wijeweera Politburo of 1971, had publicly accused this faction of being manipulated by the neoliberal elite Establishment; perhaps even on the take. He called them “lap dogs”, “poodles”—his actual term in Sinhala, translates as “lap puppies” (“odokku kukko”). The material which has now spilled over into the public domain from parliament suggests that the usually hyper-vocal JVP members of the Steering Committee remained mum when the others were fighting back against the Suma-Jayampathy intrigue intended to push through a draft document. 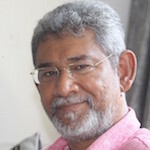 From a political scientist’s point of view, what is most important is the unintended scan report as it were, of current Sri Lankan politics that is emerging. The mass-based mainstream political parties including the UNP, and the proper institutional and legislative processes, are being bypassed and subverted by (I) unaccountable networks consisting of a motley crew of individuals, elements /factions of parties e.g. Suma, Jayampathy, the JVP’s rightwing, ‘civil society’ organizations and (II) the method of functioning of caucuses and lobbies, rather than of Parliament. These elements of the TNA, UNF and JVP are working with a civil society cabal so as to subvert the Constitutional process and pull off a political coup which will transfer State power to those interests that they are a proxy for and represent. As the blow-up in the Steering Committee as reported in the media and subsequently in Parliament (the latter was beamed into the nation’s drawing rooms by TV newscasts) demonstrated, these intrigues will simply not work and are being exposed and reacted against. The Sumanthiran- JVP alliance represents the Fake Opposition (FO) of 16 (TNA) plus 5 (JVP), which is hugely outnumbered by the very real Joint Opposition (JO), led in parliament by Dinesh Gunawardena, which now has 70 MPs. The Fake Opposition (FO) parties work hand-in-glove. They are more hostile to the critics of the government than is the Government itself. Sumanthiran could have been a brand ambassador for democratic Tamil politics and minority politics in general. In the alternative he could have been a brand ambassador for the Tamil elite. He had several roles models he could draw from. He has chosen not to do any of this. Lakshman Kadirgmar was on first name terms with Colin Powell and Neelan Tiruchelvam was respected in the best intellectual and scholarly circles globally, yet both knew that their international stature was no substitute for their national social base and political coalition-building skills-set. MHM Ashraff was a firebrand as a young politician, but also a warm human being who built cross-party coalitions. Kethesh Loganathan had a penetrating analytical intelligence as befitted his Georgetown education, and he was well regarded in Delhi as well as among left movements overseas. He was also dedicated to progressive causes larger than himself and therefore succeeded in building coalitions in and with the South. Neelan was a father figure or avuncular patron of the civil society intelligentsia but he never thought that constituency more important than the political mainstream. He was also such an authentic intellectual and cultured gentleman that he would never have been rude to officials and independent experts—rather he would have carried them along by dint of persuasive civility, and they would have been convinced. Sumanthiran’s confrontational, bullying behavior in the Steering Committee process and backstage, which was resisted by the officials and experts, shows that he is no Neelan Tiruchelvam. Worse still, if this is a democratic Tamil moderate ‘star’, and he cannot reconcile with those officials and experts who are committed, nay, dedicated, to a new Constitution, then one despairs about the emergence of a Tamil politics which can build bridges and effect North-South reconciliation which involves engagement with those who are opposed to a new Constitution. Certainly this man cannot appeal to and win over the (suspicious) Sinhala voters at large. Neelan, Ashraff, Kadirgamar, and Kethesh: all of them understood the primacy of national political processes, parties and political alliances. All of them were realists. None thought their very real international connections were substitutes for national opinion-making, national audiences and appeal, and solid national and social bases and blocs. All of them were transparent and trustworthy. None were slippery and duplicitous—and certainly none were accused of such in Parliament, without any contradiction! Where all of them had intellectual confidence, Sumanthiran has a misplaced cockiness deriving from contacts with a few embassies, Western capitals and Colombo’s civil society. Sumanthiran is the best example in Tamil politics of why there is a backlash against neoliberal cosmopolitan globalism the world over. Sumanthiran personifies that ideology, political culture and style in Tamil politics today. The way he was deporting himself, he was bound to skid and crash—and he has just done so, right into the process he was seeking to pilot. The shenanigans of Sumanthiran are discrediting the distinguished veteran Mr. Sampanthan and damaging a valuable, fragile process of dialogue which can yield necessary reform, even if a total Constitutional change should be eschewed at this sensitive time of discontent and transition. So I take it ………. good ol’ Mr Sumanthiran scuttled your plum posting to the Siberian gulags eh? Man, why waste so many words on a cockamamie longwinded diatribe? When you could have simply said Sumanthiran is a real prick. What a bummer ………… I thought you would’ve taken after Rasputin and ended up in debauchery and never returned ……… so now we gotta wait till a vacancy falls open in Afghanistan? Looks like DJ is back to normal At least we know now whether we are dealing with Jekyll or Hyde. Then of course the Killi Maharajah networks, which Dr DJ works for, are just as guilty of trying to change the government to their advantage. Dear Dayan, please stop talking about reconciliation, when there is no attempt to reach it. The first step in reconciliation is justice and that has to come through genuine sharing of power and territory with Tamils. Do you think that any self respecting Tamil will accept a solution which truncates Tamil lands and dilutes power not similar to what Sinhalese enjoy. So without wasting your time advocate a solution to bring justice to Tamils where they will regain sovereignty over their homeland which they enjoyed in the past. Take the advice given to president Sirisena by Indian foreign minister seriously, unless you want to be arrogant and not comply, resulting in humiliation. There is no need for anyone to compromise with Sinhala extremism in delivering justice. nimal fernando ~ “…..So I take it ………. good ol’ Mr Sumanthiran scuttled your plum posting to the Siberian gulags eh?”. The JOB offer never came. It was part of HIS dream. Dr Ranil, the Leader of the Elite and the Anglican Faction is the PM. Vellala Party Leader Sampathar is the Opposition Leader. Keselwatta Kid’s Political Uncle Karu Jayasuriya is the Speaker. If the three of them drive to Srikotha, Have a few Shotties ( Do they have Shotties) and Sign the Paper. the ex the Gamarala, Sirisena will be History. Dr Ranil sold Magamapura to Chinese for 2 Billion Dollars, which includes 25 000 Acres of Prime Coast facing the Indian Ocean. Now Dr Ranil is selling Mattala to Hindians with 64 000 Acres of Prime land some of which surely will be on the Coastal Front. Dr Ranil has signed the FTA with Singapore and even agreed to accept Singaporeans Medical Waste to be warehoused in Lankaswe. And Dr Ranil is selling the Trnco Harbour to Singapore to bring in the Duty & Tax Free good plus Medical Waste. Mallika is working O/T to get the the Hindians to prepare their ETCA so Dr Ranill can sign it before Xmas..
And let his mate Mahendran organized Loans with 11 Billion pure profits to SIL’s PTL. And Trailing Commissions to Aloysious for the next 30 years. Pathalaya is running amok in the South. Dr Ranil’s Field Marshal is seen with some of them at Government Functions. Apparently they are innocent boys from Kelaniya although they have a few Joints in the evenings . Dr Ranil and his Yahapalana Do gooders have now started a Gamperaliya. May be our inhabitants need one, when Hindians and the Singaporeans take over Colombo under FTA and ETCA . And send all the Sinhala Buddhists back to Villages . They will be the poor cousins in their own land which King Datusena and King Dutugamunu saved for them.. It won’t do any harm to our poor mutated inhabitants as they are used to living among toxic nuclear waste like Wimal Sangili Karuppan Weerawansa, Dinesh, Udaya, MR, Gota, Basil, Namal, Dayan, you, Nalin, VP, Rohana W, …………………….. war criminals, …. So you think that Sumanthiran can successfully carry out a “Constitution Coup”. This was the sort of ‘patriotic’ slogans in early fifties “Tamils will help India invade the then Ceylon”. Your intellect is shallower than we thought. You say that Sumanthiran is no Neelan Thiruchelvam. So what? Sumanthiran is Sumanthiran and Neelan is Neelan. Fortunately there is only one Dayan! Dayan: Did your mindset “Keep the war going” overpower you during your stint with the Tamil liberation movement EPRLF? By the way Dayan Can you win a seat anywhere under any ticket? Yes. The new york Times sory is the real story that will have impact on our economy, politics and soverignity. You cannot cheat people always using fake patriotism. Mr Sumanthiran has clearly explained about the constitutional story that was brought by JO to take away the attention on NYT article. I understand why this government unable to make any legal action against the big robbery by Mahinda and his family. It is because the Mahinda & Co are ready for a bloodbath in this land using that opportunity. This was confirmed by one of the commentator in another article. Who really wants a new Constitution? If a survey is conducted on a good sample of very ordinary people of this country, Sinhalese, Tamils and Muslims, I am sure they will regard a new Constitution as a very pow priority item. We already have a constitution that provides some degree of political devolution. The minority of people like Sumanthiran and Jayampathy, who hardly represent anyone except themselves and a few of their club members, do not represent a national need or a priority. None of these experts have come up with an option other than further devolution when even the devolution that is there now has not been given a chance to work. If new constitution is needed, should not it be about how all communities could share power at the centre rather than diluting that power? Isn’t the only conclusion one can draw is that those advocating more devolution, and dilution of central power doing so to reach the goal of Federalism? If the Sinhala Buddhist hold on central power ( I would argue is due to a statistical fact rather than a deliberate strategy),is to be changed, it can only be done at the central level with a model that provides geater sharing of power, if the objective is to maintain the unitary status of the country. A diluted, ineffective centralised power model with power shifting to a Federal model in all but name, can only mean one thing, and that is the effective replacement of the unitary State..I would say cut this crap and throw this cloak and dagger out of the window and look for a power sharing model at the centre if that is what the Tamils want. Any amount of power with no territory to exercise that power is meaningless. Therefore power sharing at the centre is not going to help Tamils to rule themselves and live with dignity and safety. Tamils are demanding the return of sovereignty over their lands which is being denied to them. Power sharing at the centre such as forming committees will not help because these committees will be always Sinhala controlled acting on the whims and fancies of Sinhala people. Recently Indian foreign minister told SL president to take it as a priority to settle ethnic problem through enacting of a new constitution and implement it expeditiously. Take this as a warning and go ahead with it. If it is not complied with, it will be forced as what happened in 1987 under humiliation. Here comes the same old political move in the chess game called “Lankawe”. At any cost, any step towards “reconciliation need to be blocked”. This time it is Rajapaksa with their proxies/stooges will see to it.Dayan has lost his glory ( coup in UN) but still dreaming of reclaiming some of his old prowess. Since independence we have been witnessing the same old strategy being played again and again (SWRD,JR, Bandas,Senanayakas and now Rajapaksas) and some how this calculated move seems to be very much effective in Lanka after 65 years.I guess The Lankans never get tired of this crap. But the International viewers are losing their patience. I’m no fan of Sumanthiran either. But do you have different yardsticks for Sinhalese and Tamil politicians? Because I ‘m flabbergasted by the paragons of virtue you have recommended from time to time for the Sinhalese people: Mahinda, Gotler, Dinesh, Sajith, Vasu, Chamal, Kumar Gunaratnam…………….Are you some kind of talent scout? Do we have a diplomatic mission in Paraguay, Mongolia, Cameroon, Gabon, Mali, Chad, Comoros, Nauru, Eritrea, Papua-New Guinea or the Pitcairn Islands? Dayan Jayatilleke would be the ideal man to serve as Sri Lanka’s Ambassador in one of these places. Ideal place would be one where there is no Internet connection. The 2 MPs have denied any involvement. The only Tamil speaking persons DJ admires are the dead ones. Thero de Silva is not recommended to Russian Ambassador Job. The PPC ‘s explanation for that is more than 15 NGOs Complained about deficiencies of Thero. First time in Lankawe history of its 70 years, a person’s wrong attitudes cited as not suitable for a higher job. 15 NGO complained that Thero went against Humanitarian consideration in UNHRC and they felt it was not a diplomatic way. So he is not suitable for another Diplomat Job. To come back to Thero’s “Constitutional Coup Plot”, It is an unlimited hate against Tamil hate for Thero interpret a constitutional draft as back dated coup of on a sitting president. He and his venomous gang are convulsing to nibble the Secret Solution on the bud. They know when they were doing the same thing in LG election with divisive a slogan, Ranil worked with them to kill the Secret Solution at that time. They expect same support from Ranil so this time they have created a canard this something Sumanthiran smuggled without Ranil knowing it. 4).Tried to take over the National Unity parliament with NCM by a minority party in the house. 5).99.9% agreed to Constitutional change this term, & from Chandrika (1994) all EPs have promised to abolish EP though Thero see it as coup against Incumbent. Incumbent is a war crime accused, should not have been elected as president. Shame on him is he was funded by China in the election from Lankawe citizens’ money. To keep that hidden he cooperated in the CB looting. When he was trying to turn CB looting on UNP, he was tricked to be getting caught in Mahanama case. Now Thero, the famous story concoctor, is concocting a new phrase “Constitutional Coup Plot” Does he understand what is meant by coup and what is meant by plot and what is meant by constitution before he concoct that utter meaningless phrase? Then he is bringing three, not one, chameleons, to witness that the fence was eating the crops. One is the Aluthgama, a master criminal, evading the court for his corruption; Second, Dayasiri who has keep moving between parties for maximum benefits and now has no party, the third one is Dinesh, who for four years was trying to catch opposition party leadership, without any success. The three chameleons are witness for Thero to his story of that without a smoke, fire is burning in Colombo Media. Denesh has only one MP in the parliament. But Thero claims as 70 MPs. Old King, who is so scared to take the leadership of the Joint Comedy club, has left it with Dinesh (same with GLP). Dinesh should have investigated for telling Army Coup in parliament, like GLP or Vijayakala. More Interesting on that is Coward Hero, Old King is now says none of his family members may stand for EP- That is a very big blow for the prediction all these days Thero did. Instead of accepting Old King’s fear to become an OPL, Thero is claiming Denesh having 70 MPs. What an empty pompous talk! When Anura Kumara, the real opposition whip was swinging his Thirukkai Waal on Chinese election bribes, there were only 9 MPs (out of 225 parliamentarians) in the parliament to listen to NYT’s Issue discussion. None of the Dinesh 70 MPs cared to say in to answer to Anura Kumara. The Old Royals’ entire Parliament MPs had run out of the country. This is the fourth time, from September 2015, Old Royals have run out of Country when something was stripping off their records in Parliament. The jewel on the crown of the comedy is, Old Royals had said from Singapore that they went there to catch Mahendran. Man, it was their frauds were being talked in the parliament; they went to Singapore to arrest Mahendran in Singapore. Comedy Thamaai! After he wrote how the NYT has put through the harness into the nose of the Appe Aanduwa, Thero is contending that if you want to create a Media Volcano, one has to write something heavy weighty like NYT. But then he is saying the Colombo English Media too crated a mirage Volcano with three Chameleons. But, how to handle a real coup was taught to Lankawe by Kanthalai Sugar factory’s Indian investor. He directly went to Two PMs, Ranil & Modi. Did any of these Pannadaies, Thero, Denesh, Aluthgama, and Dayasiri talked about this “Constitutional coup Plot” to Ranil, or President? Did they bother to tell Ranil that something fishy smelling from the constitutional Steering Committee Chamber? Why the senior people, “Thero, Denesh, Dayasiri & Aluthgama didn’t call New King or Old King who in Singapore to warn a serious coup under taking by Tamils? Why? There is simple answer to the big question, “why”? Because there is no coup by Tamils, but a New K. M. P. Rajaratne is born as Thero. He is just working on a new 1958 or 1983, that all. 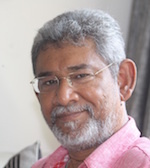 “ The point is who was the Arjuna Mahendran of the Constitution drafting process and what was the Constitutional equivalent of the Central Bank bond scam he was trying to perpetrate? An extremely poisonous man is using the Sinhala Buddist’s anti-Tamil feeling by forcefully connecting unrelated things. Thero knows if he mix anti-Tamil feeling with anything, it will melt and fuse into anything. So he is mixing the CB looting, which was done UNP by hiring Mahendran on a one year’s contract, with the current constitution making. ” Thus in his truly evangelical haste at securing a new Constitution, Mr. Sumanthiran and his partner in crime Dr. Jayampathy “ Here Thero is making sure it is being clearly understood as “Tamil only coup crime” but used innocent Sinhalese with without they knowing it to them. We have been telling from 2015 to Sampanthar and Sumanthiran that Secret Solution no way to materialize to Tamils and if it happened it is only matter of a page for poisonous Smart Patriot like Thero to turn it around as JR’s 1978 Constitution. Sumanthiran who is dying hard to get a Paperboy Minister Job from Ranil is easily falling as a victim to Smart patriots like Thero and misting Sampanthar’s mind from understanding reality of making pacts with Sinhala Intellectuals. By clouding Sampanthar’s mind to get a Minister Job, Sumanthiran is burning entire Tamils’ future. It was alleged that the attempt was to smuggle in a provision that a troika of the Prime Minister, the Leader of the Opposition and the Speaker, could remove the President. Poisonous snake, Thero is painting this being done without Ranil knowing, as plan Tamils smuggling in. whether the claim by the racist DJ is true or not, what is true is that Sumanthiran is not looking after the interest of Tamil people, and his goal and interest is for the benefit of the UNP and his master Ranil. Is this not a convincing proof there is no emancipation for Sri Lanka. All the Academicians, Administrators, Journalists, and brain stormers cannot put Sri Lanka together again. Look! to what extent this Author is doing character assassination and forcibly putting himself as somebody who is trustworthy! What he is doing is nothing short of being the dog in the manger. But this is not new for Sri Lanka. This is characteristic of Sri Lankan Administration all the time there is something good is likely to happen. Is it difficult for Sri Lankans to know why a Singaporean was brought in and made to be an underdog to safeguard the previous big time criminals! Why there is no Justice for the victims? Are they not Sri Lankans? Why the Administrators do foot dragging in implementing something good for their own future generation? Why can’t good things done promptly like in other Countries like Singapore? People are given hopes of a better future only during election campaigns. After getting the power the whole of Sri Lankan top Administrators never do anything good but let the Country shared by opportunists. Look at this Author who is supposed to do something good for the Country always trying his best taking care of himself only. This happens in Sri Lanka all the time and there are top brass politicians supporting Administrators of this caliber. Richard – “Look at this Author (Dayan Jayatilleke) who is supposed to do something good for the Country always trying his best taking care of himself only”. I quote – Humpty Dumpty was actually a large cannon that fell off a castle parapet and shattered all the Kings horses, and all the Kings men couldn’t put Humpty together again.